David Damrosch of Harvard has recently been extolling the virtues of world literature in a series of books, papers, and lectures. You can see his lecture last year at Simon Fraser University here. Last week he lectured at the Centre for Comparative Literature at the University of Toronto as the Northrop Frye Professor in Literary Theory. During his seminar on “How to Read World Literature” (also the title as his most recent book), he provided an example of how we might go about “teaching” world literature with three poems: one from the east, two from the West (one British and one Argentine). Moreover, the poems were from three different periods and one author was unknown. (These are in fact the first three poems discussed in “What is Literature?” in How to Read World Literature, 8-13.) In other words, the only thing that seemed to unite these poems is that they are understood – for one reason or another – to be poems and in some way identifiable as literature. Throughout his talk, Damrosch spoke in terms which had such an obvious affinity with Frye that I was surprised it wasn’t declared outright to be derived from Frye. Therefore, after being encouraged to think about modes, symbols, myths, seasons, genres, and themes for more than an hour, I found it impossible not to ask outright: So what is new about this, and how is it different from Northrop Frye? Damrosch’s method, however, is different from Frye’s inasmuch as it appears to consist of little more than a kind of archetype-spotting where the critic pursues a recurring symbol and then duly catalogues the instances of its recurrence. For Damrosch, as long as the symbol is in play, then there is relevant critical activity in chasing it down. This is not really what Frye had in mind when he laid out the principles of archetypal criticism. Frye’s attitude, that is, seems to be, “yes, of courses there are symbols, but the question is why they recur, not merely how they recur.” In this regard, if there is to be a conception of world literature, as seems to be the goal of this “New” Comparative Literature as represented by scholars like Damrosch, it is only possible insofar as it seeks a homogenization of literature according to some universal experience manifested by recurring archetypes. 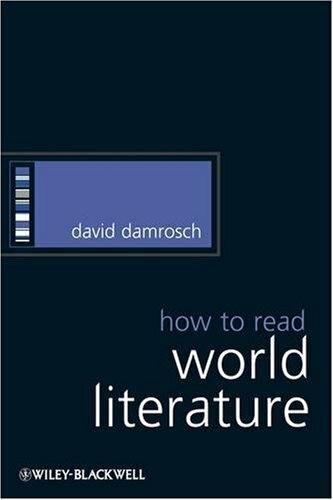 Damrosch writes in How to Read World Literature: “[w]riters in metropolitan centers do not necessarily need to adapt their methods in order to be accessible to readers beyond their home country, since many of their literary assumptions and cultural references will be understood abroad on the basis of readers’ past familiarity with earlier classics in their tradition” (107-8). Damrosch thus provides a defence of the Great Tradition or the Western Canon or the Canon of whatever tradition, and appears to argue that it is necessary to know other Canons in order comprehend work outside of one’s own tradition. The aim of world literature, therefore, is not to celebrate difference but rather to find sameness. We only need look to Anatomy of Criticism to find a similar but extensively elaborated mode of reading: “[t]he repetition of certain common images of physical nature like the sea or the forest in a large number of poems cannot in itself be called even ‘coincidence,’ which is the name we give to a piece of design that we cannot find a use for it. But it does indicate a certain unity in the nature that poetry imitates, and in the communicating activity of which poetry forms part. Because of the larger communicative context of education, it is possible for a story about the sea to be archetypal, to make a profound imaginative impact, on a reader who has never been out of Saskatchewan” (AC 99, emphasis mine). Frye argues that “[o]nly the archetypal critic can be concerned with its relationship to the rest of literature” (AC 100). Moreover, and with specific reference to Damrosch’s argument: “[t]hus the centre of the literary universe is whatever poem we happen to be reading. One step further, and the poem appears as a microcosm of all literature, an individual manifestation of the total order of words” (AC 121). However, unlike Damrosch, it does not seem that Frye is advocating the practice of mere archetype-chasing. In his comparison of two poems – “Western wind, when wilt thou blow” and the Argentine poet Alejandra Pizarnik’s “Nombrarte” – Damrosch comes to the conclusion that “[i]nstead of a fertile spring wind that can reunite loves, here we have an ill wind that blows no one any good and only brings a bitter aftertaste” (9). So what unites two poems, for Damrosch, is simply an “image of physical nature” (which is to say, precisely what Frye noted over fifty years ago but without saying nearly as much). This entry was posted in Frye and Contemporary Scholarship on February 11, 2010 by Jonathan Allan.